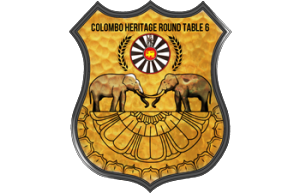 Colombo Heritage Round Table 6 was formed in 2014 and is one of the newest tables in Sri Lanka. Over the past year and we have come a long way from when we first started. We have had a great time getting to know each other and working together to achieve our long term goal which is to bridge the gaps in education in Sri Lanka, first in rural communities and then across the island through technological infrastructure and capability development. We have initially focused our efforts to help out the Charles Education Centre (http://www.charleseducationcentre.org), which is located in the remote village of Mahavilachchiya near Anuradhapura. The Charles Education Centre is a non-profit organization that has an after school program set up for the children in the area and already works with over 150 students ranging from the ages of 3 to 18 years old. Students are taught English and IT, vital skills in today’s world, and we are pleased to have met past students who have progressed in life and work at prestigious companies such as Hayleys & John Keells. Working with the Charles Institute has enabled us to plan and work through a series of short term projects that build into our long term goal. Physically visiting the school has compelled us to help in any way possible – such as providing sports equipment for the children. Our first project was to refurbish 40 laptops that were idling at the school; a project that was successfully completed using funds raised from the CHRT6 paintball tournament held late last year. The school is expanding and they hope to establish a larger school building to accommodate their need for larger classrooms and greater IT facilities. We plan to raise funds for the building as well as for IT equipment and sports and play equipment for the children.